Would you know what to do if an active shooter threatened your workplace, school or church? Most people don't, which is why a new training center is teaching ordinary people military defense tactics in Centennial. 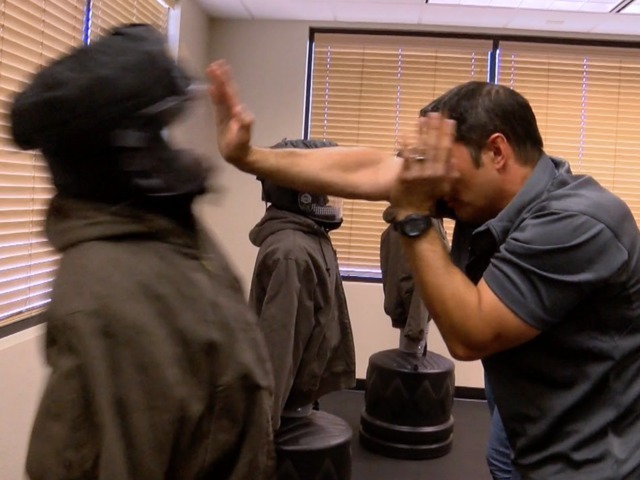 After tragedies like the San Bernardino attack and the Aurora Theater Shooting, training self-defense experts said it is absolutely critical to get this type of training during a terrorist situation or mass-shooting. "[I've] Been getting calls from corporations, from law enforcement seeking assistance saying, ‘We're not funded nor are we manned to train workplaces and individuals how to defend against active shooters. What can you offer?’,” said Jimmy Graham, a veteran U.S. Navy Seal. Graham has now teamed up with the owner of the Centennial Gun Club to open the first training center in the state to use the military's "close quarters defense system." "We teach people how to defend themselves if they don't have firearms or even if they do," he said. Graham said the goal is to help citizens buy time and save lives before police can arrive on scene. There's role-playing scenarios, surprise attacks, there's even a classroom to study tactics. Graham insists, this is not about being trigger-happy, this is about making the right decision when your life is on the line. The center opens to the public April 15. They can accommodate groups of up to 15 people.